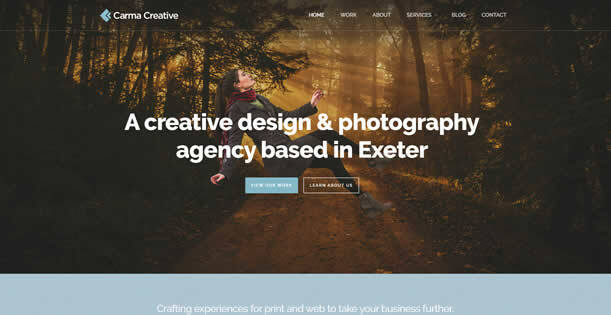 Phil Pell, owner of Carma Creative in Exeter, asked us to help build his new bespoke WordPress website from his designs. The site was built using a parent WordPress theme from which we created a unique website to showcase his many graphic design and photographic talents. It’s a modern, responsive site which which does the job perfectly, although we do say so ourselves! That’s more down to Phil’s talents; we often ask him to create designs for our bespoke websites as he’s great at understanding the client’s needs and also the website building process.